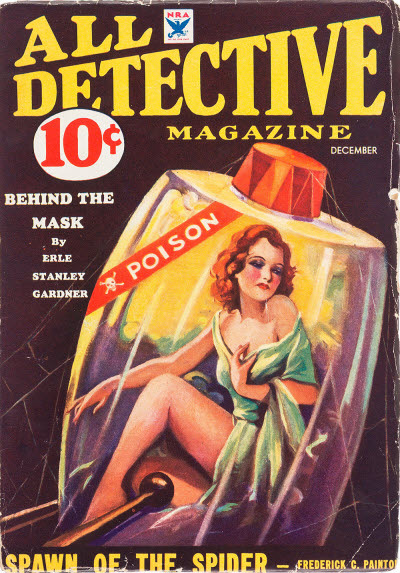 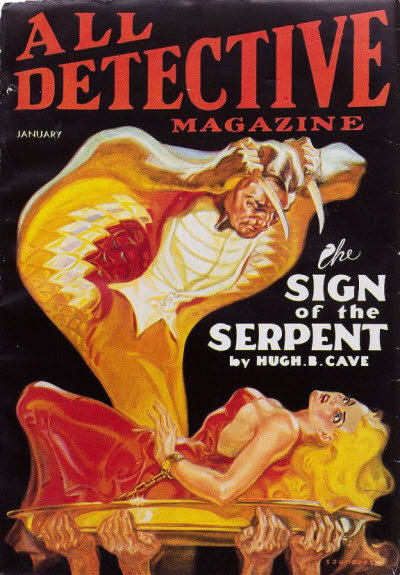 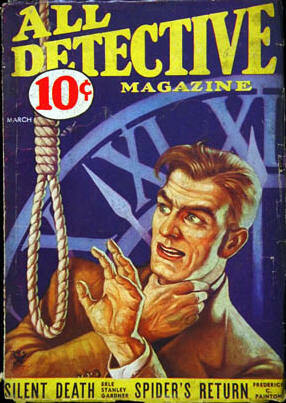 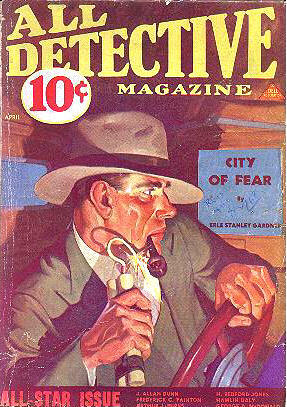 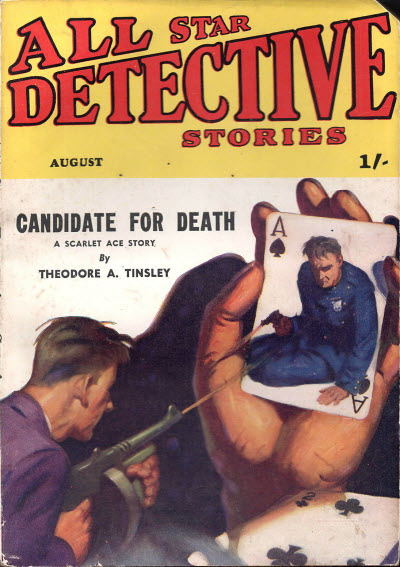 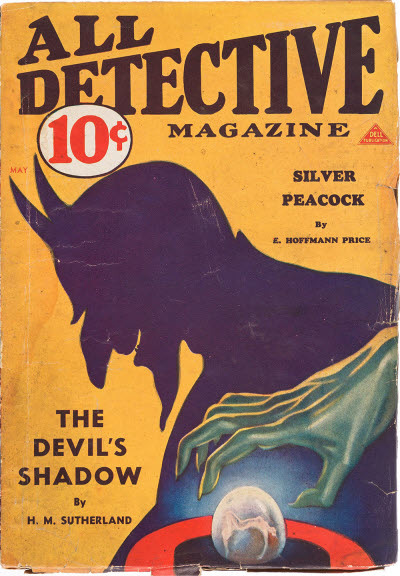 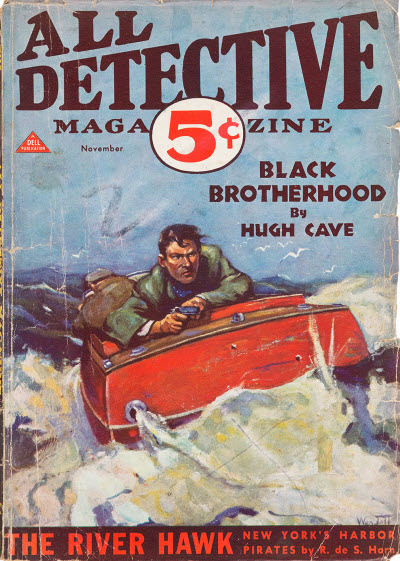 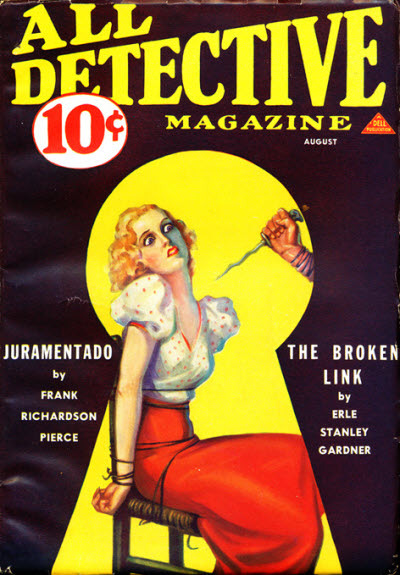 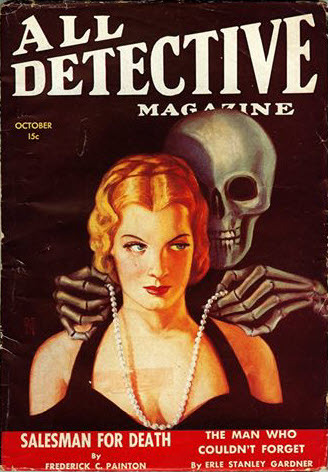 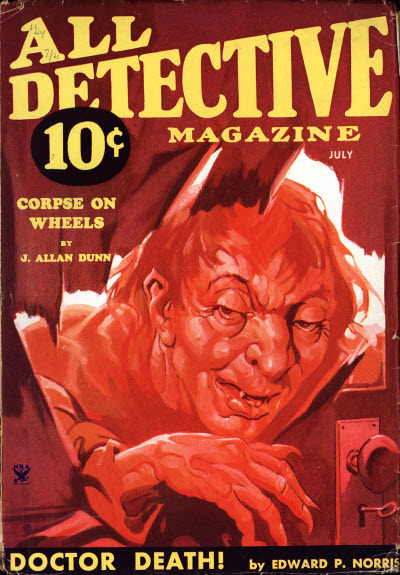 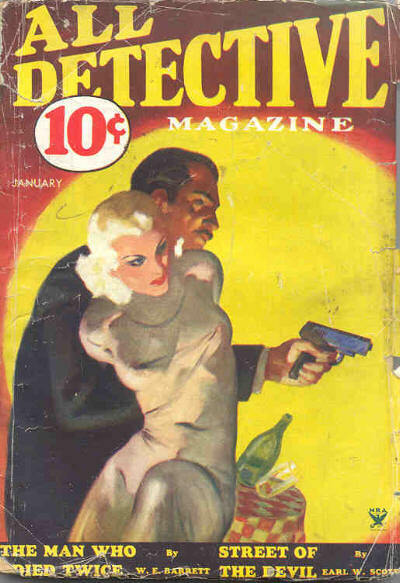 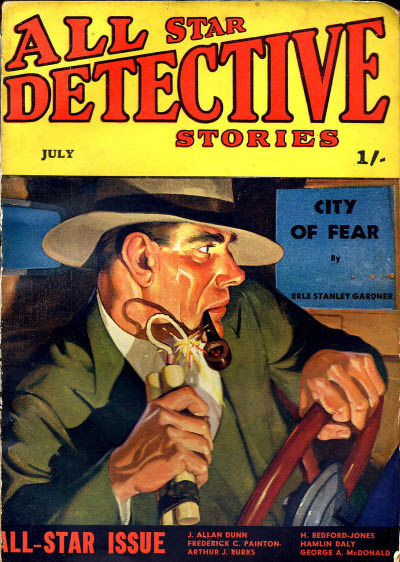 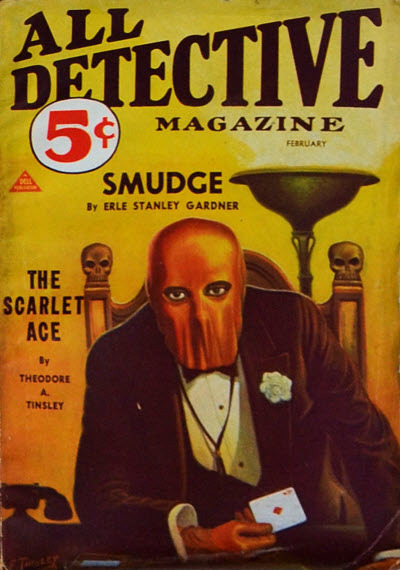 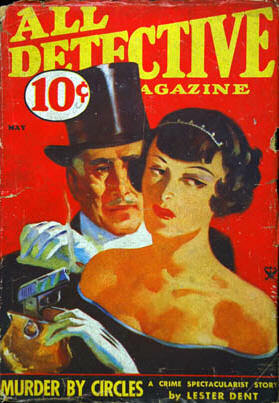 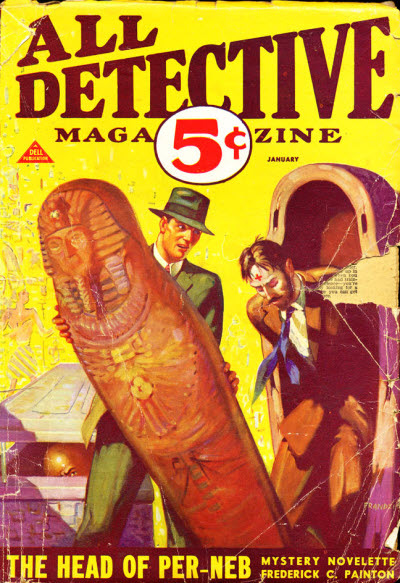 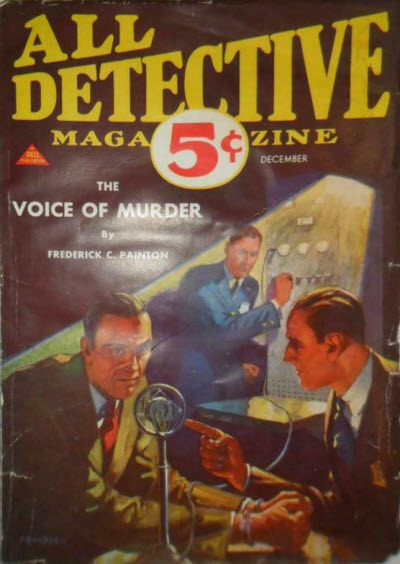 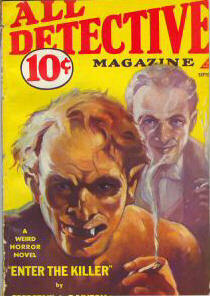 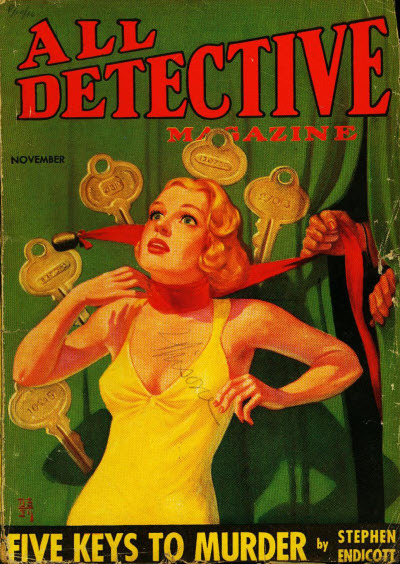 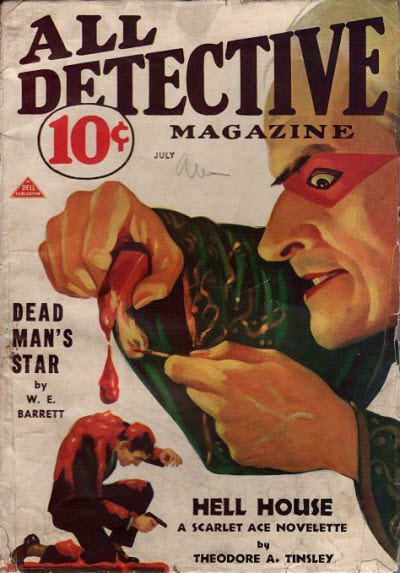 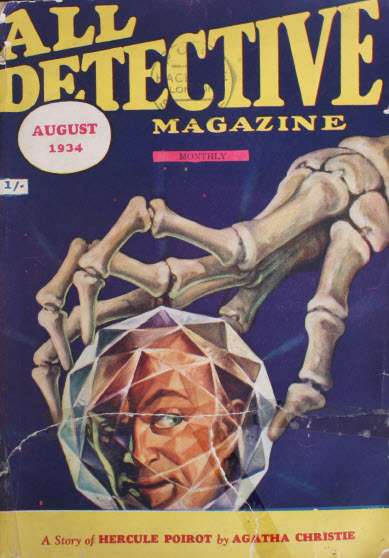 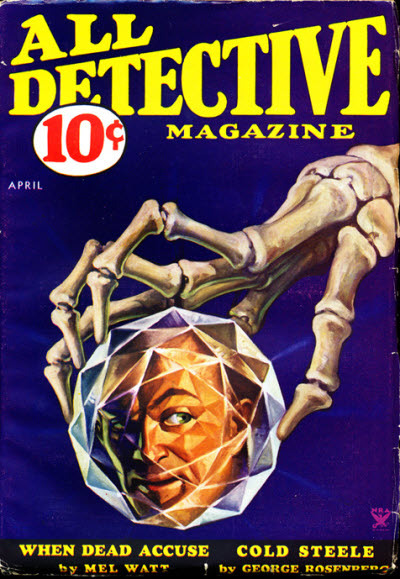 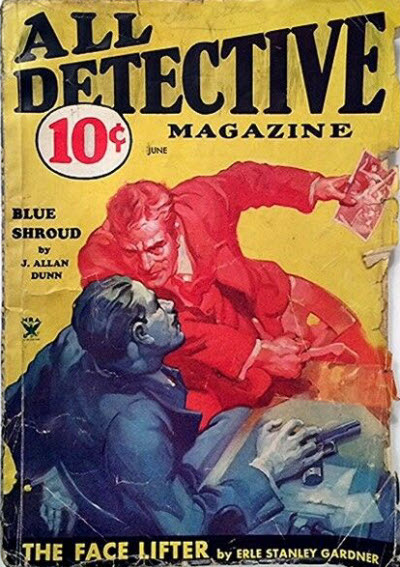 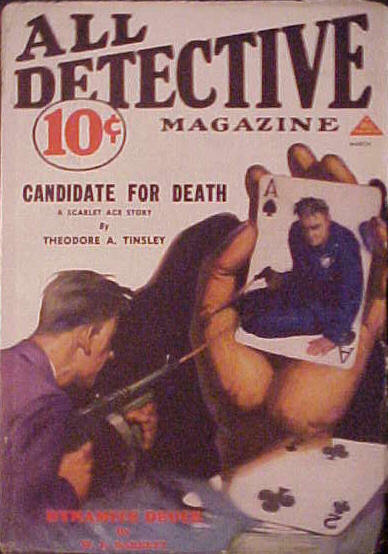 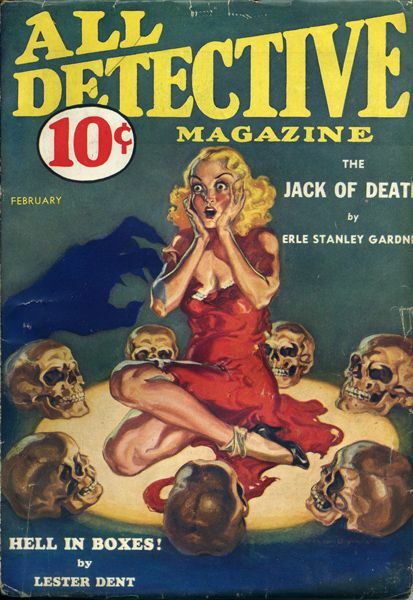 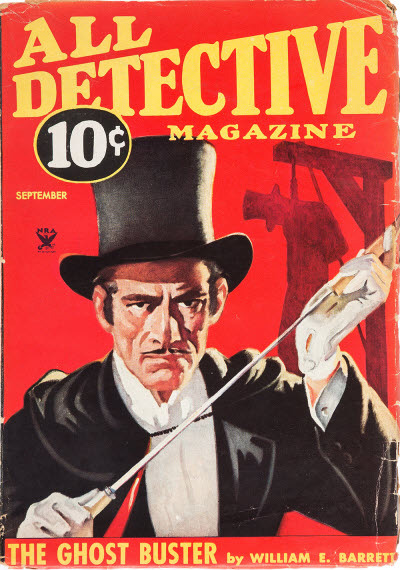 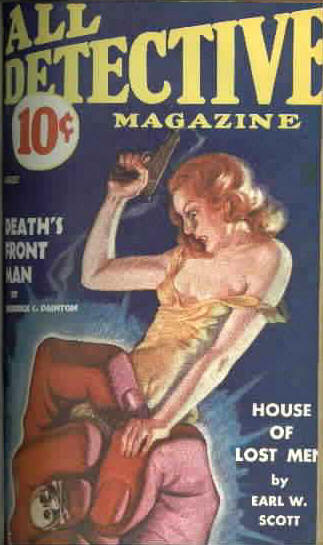 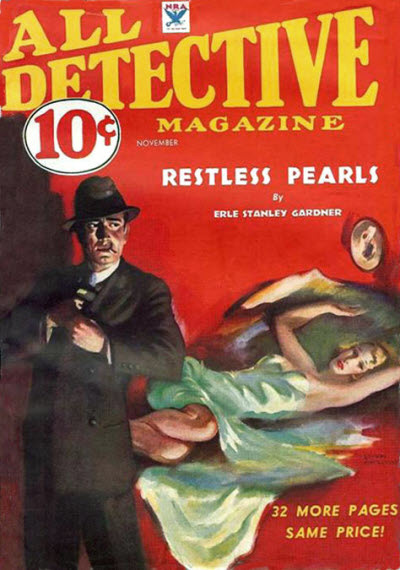 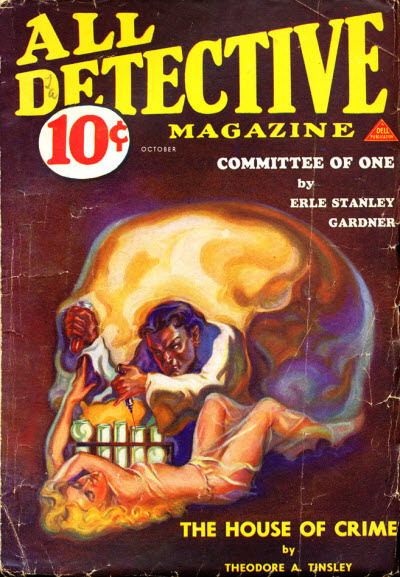 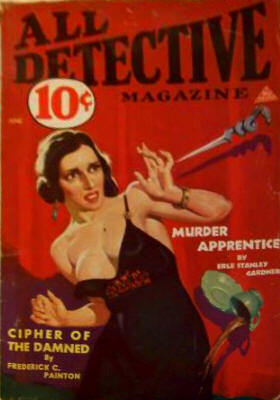 All Detective Magazine started life as a very thin pulp magazine (from Dell Publishing Company) that sold (initially) for 5c. 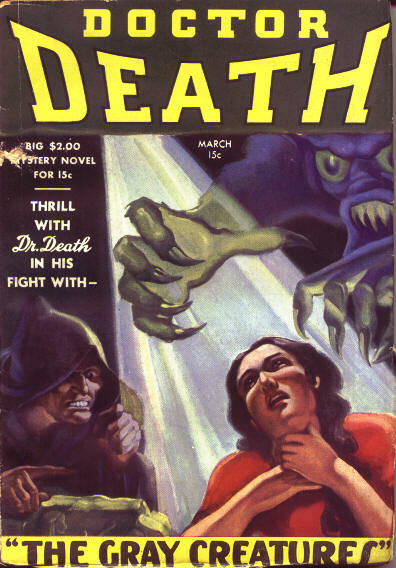 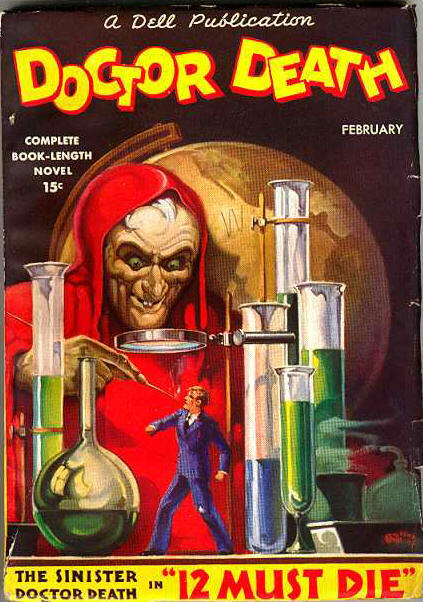 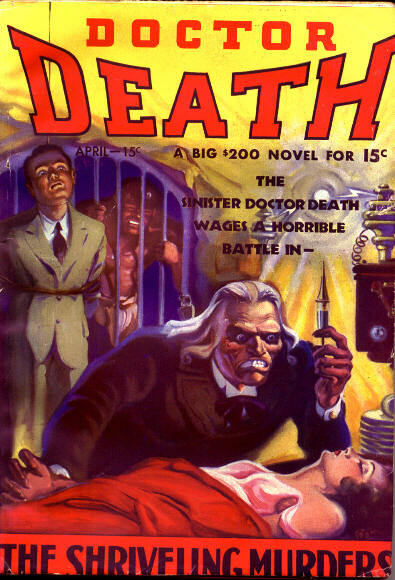 The August 1934 issue was notable for introducing the arch-fiend "Doctor Death" who was so popular that the magazine was renamed Doctor Death in February 1935, although it only lasted for a further three issues. 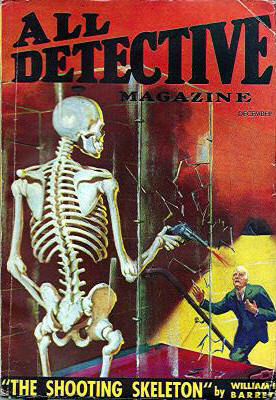 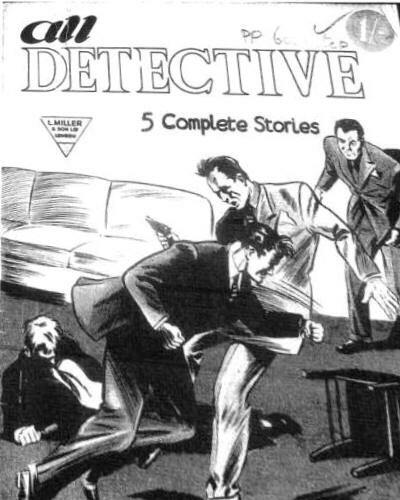 There were also two separate British reprint editions - one that allegedly saw three issues in 1933 under the title All Star Detective Stories and at least one more issue under the title All Detective Magazine, and another that lasted for a single issue in 1955 or thereabouts, under the title All Detective. 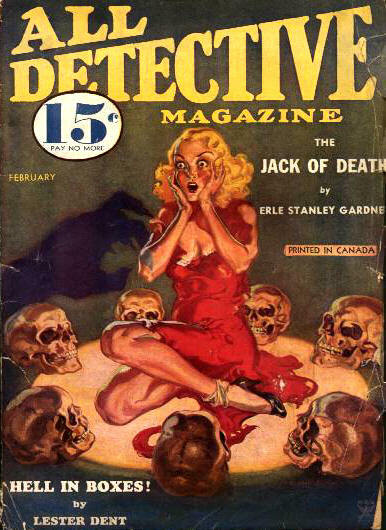 There was also a Canadian reprint edition in the 1930s which was probably identical to the US edition.